Need a blank NHL Playoff Bracket to fill out? Want to know the dates of each round? Or do you just need to know where the games are? No problem! 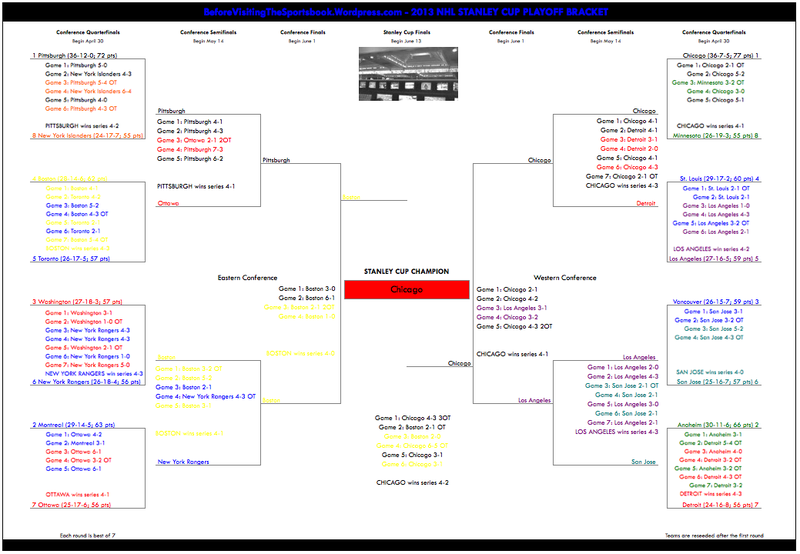 Just click on the image below; feel free to print off the bracket as well.